No one wants to spend hours on maintenance, so with all of our products you can just fit them and forget about them, making life easier for you. We specialise in problem-solving products including bathroom wall panels, bathroom cladding, ceiling panels and shower panels. If you have never seen this type of wall panelling before then take your time to have a good look around our website. You will be amazed at the range of benefits our panels can offer. Our website contains a wealth of information including full installation guides, help and advice pages, clear images of the panels in room settings as well as our customer gallery where you can see what our customers have been up to in their own homes. If you are looking for a modern alternative to tiles then this is the product for you. It is very easy to install and is available in a huge range of designs, colours and sizes. They are totally waterproof and require no maintenance. Durable and easy to clean, our bathroom cladding system is an attractive and stylish alternative to bathroom tiles. The cladding is made from PVC and slots together to provide a totally waterproof surface – so are ideal for use as shower wall panels. Their wipe-over surface also makes them suitable for use as kitchen wall panels. Being light and easy to install means they are also suitable for use as ceiling panels and once installed there is no painting, varnishing or scrubbing, just a clean, bright & long lasting ceiling. A full range of decorative trims are available for our bathroom cladding together with sealant and adhesive to provide everything necessary for trouble-free installation. Order a sample pack to see for yourself the beautiful designs and finishes that we have. Everything in our inventory is the best possible quality – we only sell products that we would be happy using ourselves. So you can but with confidence from a company that has been helping customers improve their home and reduce their maintenance for nearly 20 years. In addition to our panelling products we have a beautiful range of bathroom flooring and the amazing leak-free shower cubicle systems from Envirotec Bathing. We believe in old fashioned customer service and have a wealth of experience in selling, designing and installing bathrooms so if you need some advice you have come to the right place – we know what we are talking about. Laminate flooring can a problem in bathrooms. Splashes and spills from baths and showers can affect the MDF core and lead to damage. 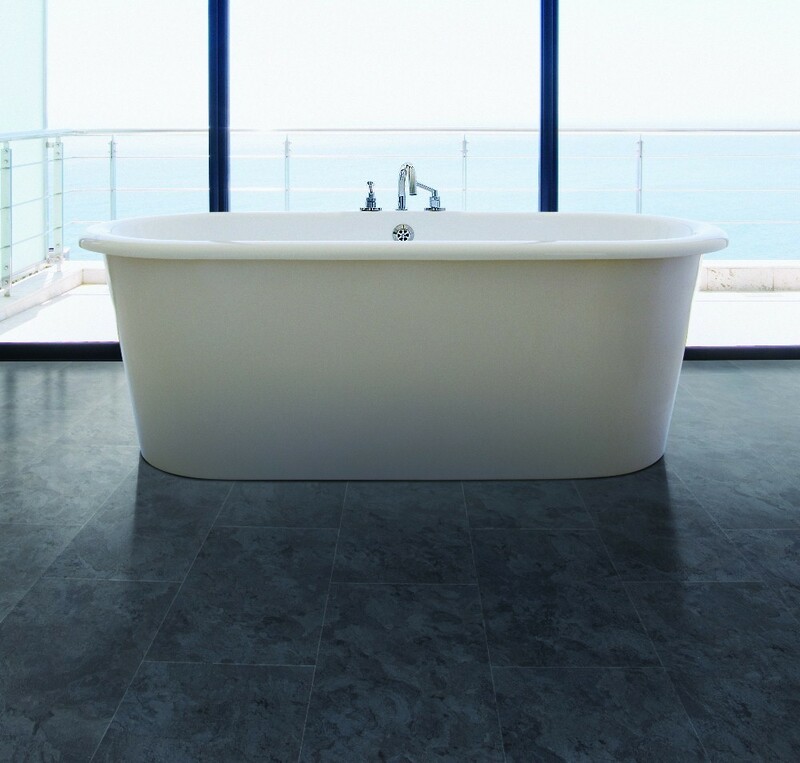 With our range of bathroom flooring you have no such worries as it is totally impervious to water. The system consists of solid vinyl tiles slot together easily and require no specialist tools to install. The flooring is available in a number of attractive designs that will enhance the look of any bathroom or shower room and will provide a long-lasting, practical, water-resistant floor. New to The Bathroom Marquee – leak-free shower cubicles. Shower cubicles can be troublesome if they are not installed perfectly. But these new enclosures eliminate one of the biggest headaches – the joint between the shower tray and the wall. By getting rid of it completely and making this section of the cubicle as one complete piece the problem simply disappears. They are available in a range of colours and several different sizes so there should be something suitable for everyone in the range.